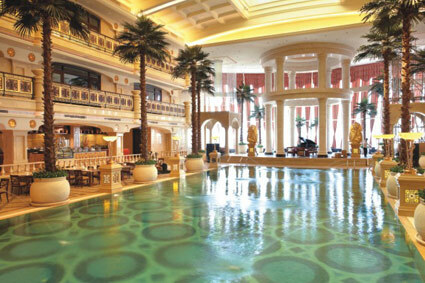 The Royal Mediterranean Hotel is a five-star international hotel with splendid building style. 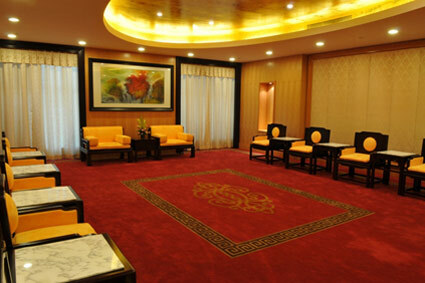 The only designated reception hotel in China by NBA. 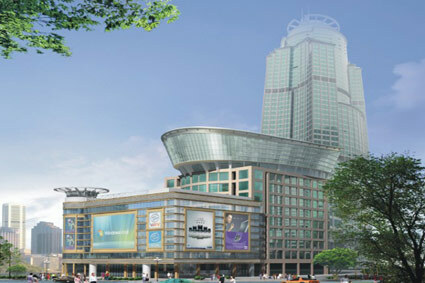 It located in the south section of the flourishing Tianhe District, which is become the center of business, finance, technology and culture in Guangzhou. 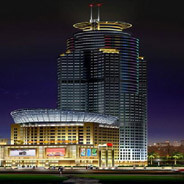 The hotel is next to the Pacific Computer Center, Tianhe Entertainmen Plaza, Renfeng Building and Subway station (Gangding C exit). It is near the Goldlion Building, CITIC Plaza, Teem mall, ZhuJiang New Tawn, Grandview mall, Guangzhou East Railway Station etc. With the predominant geographic location, the hotel is only 15-mintue drive from the Pazhou International Convention& Exhibition Center, 40-mintue drive from Baiyun International Airport.port. The hotel has 52 floors with over 400 exquisite rooms and suites. The king-size glass window gives a full view of the beautiful Guangzhou and enables guests to fully enjoy the international metropolitan’s vogue. With the golden yellow as the main tone, the hotel is suffused with rich mediterranean romantic feelings. And the hotel is also featured by various lordliness decorations from all over the world, such as the French gunmetal, Italian musical spring, French crystal lamp, international standard bedroom articles, palatial corridor and gold-foil accessories, which take you back to the mysterious Egyptian noble life. The guest rooms are designed full of the Mediterranean romantic feeling. Between the bath room and the bedroom of a deluxe suite is the unite glass wall design, which provides guests with endless both joy and pleasure. 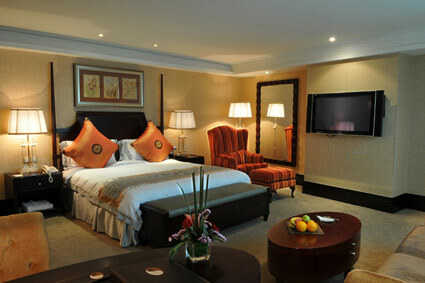 Both the deluxe suites and the business suites are magnificently featured by various styles and unique design of rooms. The bath room is fashionable and well equipped, containing bathroom LCD TV set, luxury bathtub, tropic rain forest shower, anion hair dryer, safe deposit box, broadband internet access and Satellite TV. Besides, there is a diverse minibar in every room and the bedroom is equipped with 42 plasma LCD TV set. It is the best choice for high-class businessmen to live in. The protocol department and housekeeper provide private service and the 24-hour housekeeping service from the moment you check in till the moment you check out. 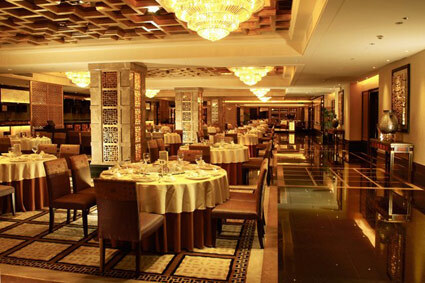 You could enjoy the top service in the royal Mediterranean hotel both business trips and leisure vacations.